Frequently the big, branded chain hotels are dubbed the Goliaths of the hotel industry. The Davids? Everyone else… independents all the way to mid-sized chains, all the properties that don’t have the same powerful resources. As a result, much of the data and strategies that circulate are full of assumptions and trends based on big brands, which can skew our understanding of everyone else. To Gladwell’s point, you must be able to see clearly and create your own strategies. To do so, you must understand not just where the market is going for your particular segment but also what data matters. The goal for independents and small to mid-sized chains is not so much to beat out Goliath as it to better understand David’s opportunities and assets. Further, according to STR, independent hotels can anticipate the highest ADR growth of any segment, adding 2.3%. That said, independents traditionally have slightly lower average ADR than branded hotels (HNN). It’s not about getting ahead of the brands so much as continuing a growth trend in the midst of a slowing market, and independents and smaller hotel groups have an opportunity in both occupancy and ADR. This is when it becomes life or death to understand your data because, at times, it might seem prudent to reduce rates to drive occupancy. As Rachel Grier remarks, “many independent hoteliers still believe that ‘a busy hotel is a successful hotel,’ even in times of weaker demand. They drop their room rates to attract guests, relying on the in-house spend in food and beverage, spa, ancillary and more, to top up revenue. However, not only are guests paying significantly lower room rates, they are typically less likely to spend on the spa or luxury dining, but the longer-term ramifications of rate reductions are far-reaching. Rate reductions can impact a hotel’s brand perception, product value perceptions and future pricing scopes when the market is in recovery” (eHotelier). Another common response to the opportunity (or need) to grow occupancy is to push more inventory to OTAs. With guest acquisition costs still in the range of 20-25% of revenue, this can seriously undermine profitability. Additionally, many of the guests that arrive via OTA aren’t long-term, repeat guest quality, and because OTAs hold back much of the guest data, they effectively become the client of the third-party anyway. But we all know OTAs are still important to a healthy channel mix, for the time being, so independents and mid to small chains must carefully track and assess OTA commissions, relying on them the just-right amount. We know there’s big opportunity for these segments to continue growth despite a market slow down in 2018, but it requires seeing things through a lens that filters out the big brands. Data: Your data must be accessible, visually appealing, and integrated. If you can’t see all of the moving parts together in one place, it becomes nearly impossible to make nuanced decisions. 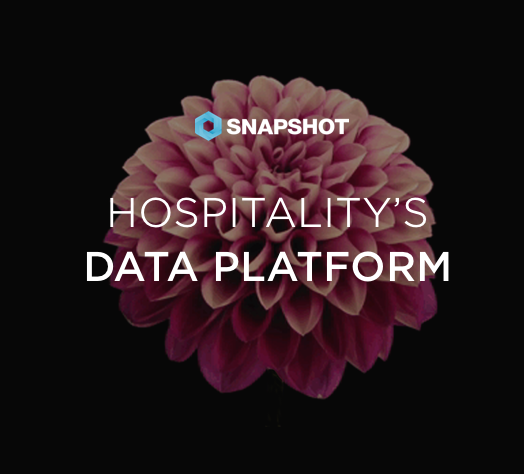 For smaller chains, this becomes challenging, as frequently different properties are on different PMS’s, so a tool such as Snapshot On Demand is necessary to integrate and streamline data from different systems into one holistic view. Basically, we advocate for investing in managing your data as close to a big brand as possible, because this ability to see is the gift that allows independents and smaller chains to make wise decisions with fewer specialists on staff. Talking about operational data it is worth mentioning the advantage of having good connectivity of all related systems. Beside the core system of any hospitality organization PMS, having a fully integrated POS is always a big advantage, the example of such solution could be Infrasys POS. Reviews: The importance of reviews in the ability to drive up rates is commonly understood at this point; however, for independents and mid-sized and small hotel groups, reviews can be a dealbreaker. Chains have a certain amount of built-in market based on reputation and a pretty standard set of expectations (i.e., they will basically look the same and offer the same services). Independents and smaller chains have more to prove in order to not just achieve the booking but also to ask a premium. For revenue managers, reviews must be reviewed side-by-side with rates. The Market: The sharing economy is taking a bite out of the hotel market, and the most likely to suffer are independent hotels. Why? Because vacation rentals and home stays offered by the likes of Airbnb appeal to travelers who want an authentic, singular experience. Isn’t this what independents and the smaller hotel groups were built on? Delivering something different from the old hotel experience. According to Skift, Airbnb’s biggest impact on hotel revenue will occur during times of peak demand (i.e., major events, festivals, holidays, etc.). Independent hotels must be attuned to market shifts in demand and rates in order to avoid losing share to the Airbnb’s and VRBO’s. Conversions: Website conversions are notoriously low—in the 2-3% on average for hotels—and yet web bookings are a lifeline to profitable direct channel reservations. Carefully tracking the volume of visits against the conversion rate can alert you to problems and encourage you to be creative with your strategies (offering value-adds, packages, or sometimes simply adjusting your language). It is entirely possible that independent and smaller chains will have lower website conversion rates than chains because travelers have more questions and concerns about the product. The flip side is a greater willingness to pay a premium when those questions are addressed well. Channel Costs: Guest acquisition costs for independents and small groups have an exponentially greater impact than they do for brands. With typically less money available for marketing, smaller hotel groups must carefully track channel costs. A true understanding of the cost of every single OTA booking, direct channel booking, GDS reservation, and so forth is the only way to create the ideal channel mix that will keep costs in check while also increasing occupancy and ADR. Another solution could be investing in smart distribution services, like Shiji Distribution Solutions for example. What independents and small to mid-sized hotel groups need more than any of these things individually is the ability to see them all at the same time, which is the impetus behind Snapshot On Demand (for enterprise) and Analytics Pro (for independents and small groups). Mid-sized chains all the way to independents have a giant bonus in the ability to be flexible and pivot with the market instead of dealing with bureaucratic systems or big bulky technology in order to effect change. Additionally, without franchise costs and the extra fees that inevitably end up going to brand programs, there are funds that could theoretically be allocated 1). to marketing to increase volume or 2). to training to increase conversions and guest service or 3). to technology to support revenue management. While the market is ripe for independents and more experiential brands, the data must be available. New guests achieved now will become loyal guests down the road when the market is slower, and in slower markets, independents and small chains are the first to suffer. Patrick Goddard President & COO of Trust Hospitality notes that when it comes to independent hotels management is “more complex and there is more ‘grey’, instead of black and white” (Tambourine). Think of understanding—and seeing clearly like the tiny but mighty shepherd David—as a way of making the grey a little bit more black and white in an industry that requires efficiency and agility.